Sembcorp Marine Integrated Yard is to pay $20m to acquire buy LMG Marine, a Norway-headquartered naval architecture firm, which will become an indirect wholly owned subsidiary of Singapore’s Sembcorp Marine shipyard group. Established in 1943, LMG Marin provides design and engineering services for drillships; floating production, storage and offloading (FPSOs) vessels, floating storage and offloading vessels (FSOs), offshore support vessels (OSVs), LNG carriers and vessels fuelled with LNG. 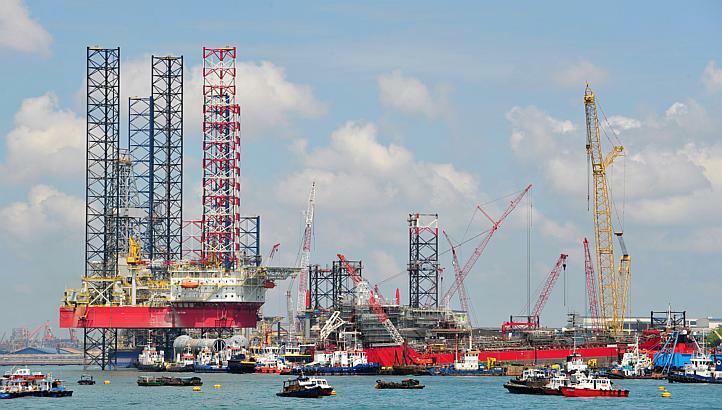 Sembcorp Marine already uses several designs originated by LMG, including the next-generation Espadon drillship design. An FSO being built by Sembcorp Marine for deployment in the UK North Sea is also being built to an LMG original design. The sale price was based on LMG’s estimated net tangible asset value of $3.8m as of July 31, plus its intellectual property and patents, Sembcorp said. As well as its headquarters in Norway, the company also has offices in Poland and France. “Through the strategic acquisition of LMG, Sembcorp Marine further strengthens its intellectual property and knowledge to execute leading-edge design and engineering solutions for the global offshore and marine sectors,” Wong Weng Sun, Sembcorp Marine’s president and CEO, said in a release.